Hundred years after the northern and southern Nigerian protectorates was amalgamated into a single British colony, the remarkable diversity of the country remains apparent. 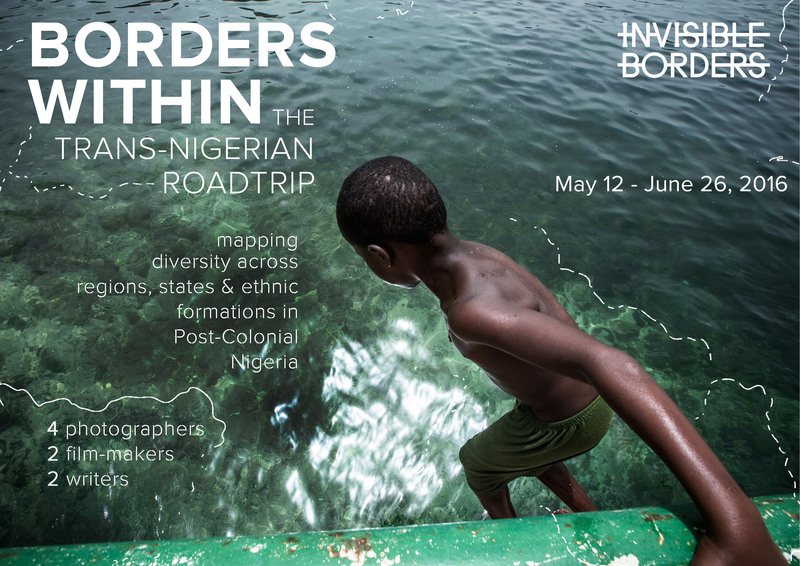 In 2016, Invisible Borders will aim to map this diversity through a road trip across Nigeria; hoping, as a result, to underscore the borders that are both inscribed and elusive within the country. It is said that history never returns to a lost state. There is certainly no artistic intervention that can hope to reveal a Nigeria that could have existed without the British. What seems possible, however, is to illuminate the multiple histories that continue to exist in a post-colony, through a mishmash of voices: ethnicities, religions, and visions of modernity. In a period of accumulating upheaval across Nigeria—the recurring threats of Boko Haram fundamentalists in the northeast, and pro-Biafra agitations in the southeast—a trans-Nigerian road trip will elucidate the ambiguities of contemporary Nigerian existence. The Nigerian experience we seek to question is contemporaneous and global. In the absurdity of their rhetoric and the severe consequences of their violence, Boko Haram and the Islamic State are products of artificially constructed maps and policies – an indictment of the colonial project so to speak. participants will travel together in a van, all the while, living, working and interacting with each other. Participants are expected to develop concrete bodies of work in the form of photography, short films, and essays. Outcomes and experiences of the project will be shared online, on a daily basis via a dedicated blog/app. See example from our 2014 Road Trip: http://app.invisible-borders.com/. A Book articulating the photographic works as well as essays shall be published at the end of the project in conjunction with a feature length documentary film. The duration of the project is 46 days from May 12 – June 26, 2016. Photographers, film makers and writers invited to participate in the six-week road trip will undertake to produce images and text that reflect impressionistic, yet critical readings of contemporary Nigeria. The central questions would be: Who am I in relation to the artificial map? How am I product of what I have been inevitably named? How do I interact across the several visible and invisible borders I confront as a Nigerian? This project follows in the tradition of the artistic road trip intervention established by Invisible Borders in the course of five editions. This implies that the artists will travel together in the same vehicle, all the while living, working and interacting with each other. The route will be fluid, allowing for detours, but equally encompassing. Beginning in and returning to Lagos, the artists will move circularly through several Nigerian cities and towns whose history shaped and continue to shape a contemporary Nigerian identity. Each participating artist will be tasked with developing one major body of work as a follow-up to the trip. Writers will be required to produce long travel essays (of up to 7,000 words), while photographers will be required to produce at least an encompassing body of work from the trip. In addition, Invisible Borders will present several short, personal, narratives by residents of the towns and cities en route, with the aim of creating a crowd-sourced narrative of contemporary Nigeria. The narratives, combined, will be made into a lengthy documentary film. Loose and non-linear, the film will underscore the improbability of reducing Nigeria to a single voice, or way of telling.